Before you head off to college, you might want to pick up a new pair of headphones. 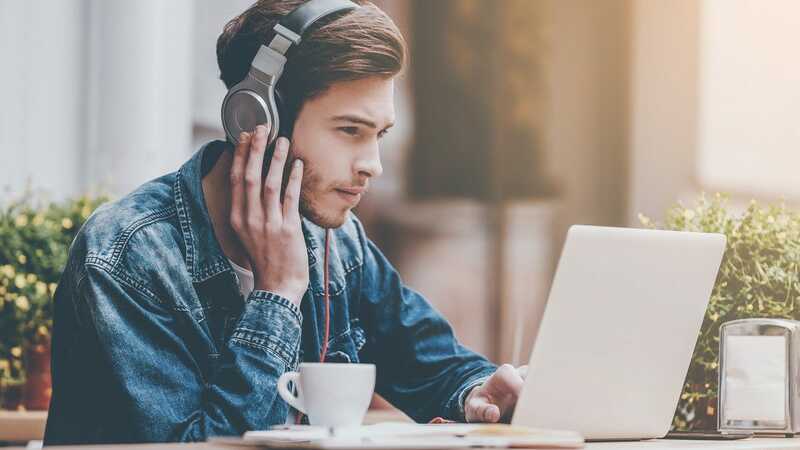 We’ve checked out the best cans for both studying and pleasure. College life poses some unique needs and challenges for your headphones. You might want to catch up on podcasts or listen to music while walking to class. 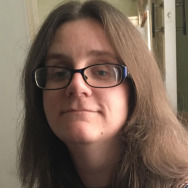 Then you might want to use the same headset while you’re out exercising, or when you need to block out intrusive noises while you’re studying. Since college life is challenging, we’ve focused on a few key qualities. All the headphones here offer some level of noise cancellation, each offers extensive battery life, and—of course—their sound quality is great. Not everyone loves headphones, so we’ve also checked out a couple of pairs of ear buds that do a great job. Finally, we’ve taken into account that being a student is already expensive enough, so we’re keeping an eye on budget options. Regardless of your needs, all of the headphones here will offer you a great audio experience throughout your college days. The Bose QuietComfort 35 II is easily the most expensive set of headphones on our list, but you get what you pay for. If you can stomach investing $349 into a great pair of headphones, these are going to last you for many years into the future. It has a robust sound quality that lets you disappear into your audio world. 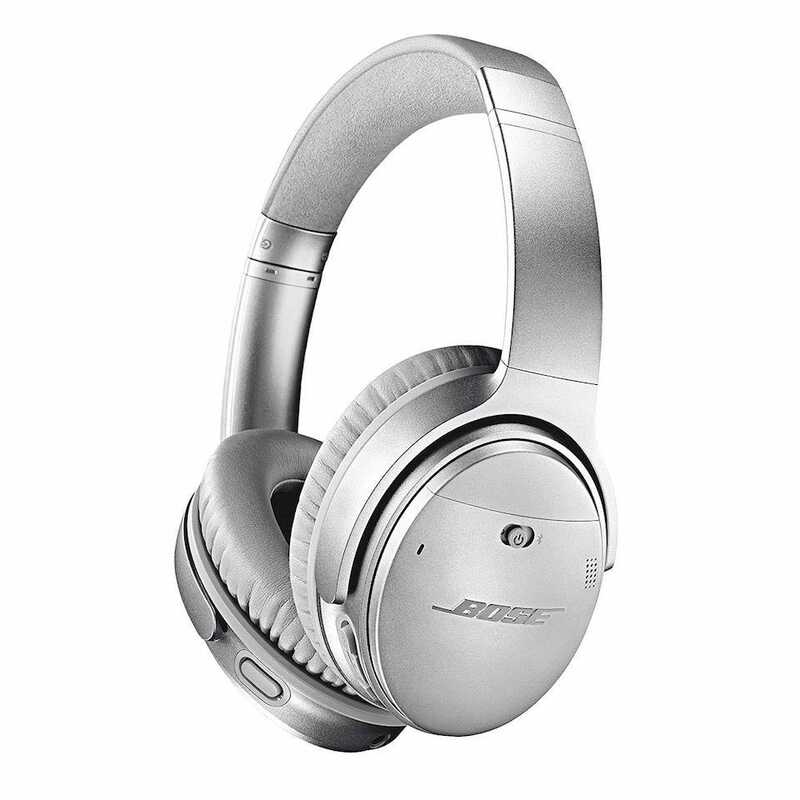 What’s most impressive is Bose backs up great audio with even better noise cancellation. You can adjust the level of noise cancellation to suit your environment. Want to block out everything while you’re studying? Crank it up to full. On a train and need to pay attention for any station announcements? Turn it down a little so you can hear ambient noises. The headset gets 20 hour battery life in wireless mode, or up to 40 hours in wired mode. As long as you’ve got the budget for it, this is a great option. 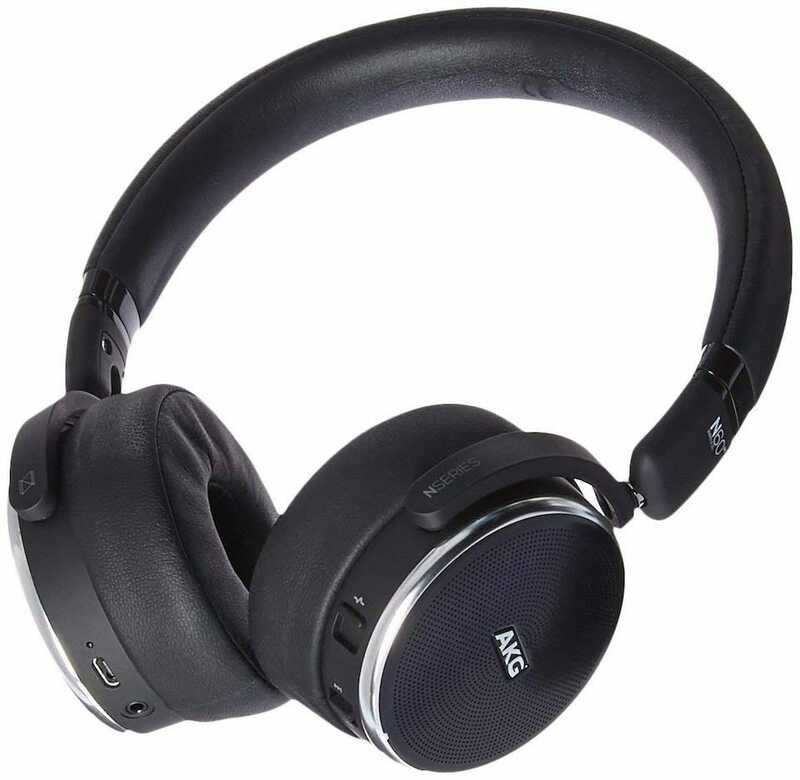 Nearly as great sound quality wise as Bose’s offering, AKG’s Wireless Noise Cancellation Headphones have one key feature that make it a worthwhile purchase for those short on space—they’re really easy to fold up and transport with you. Folding down flat means you can toss them into your bag easily. That’s perfect if you’re already carrying plenty of books, and a laptop for studying. Besides that, the headphones sound great and offer extensive noise cancellation. The memory foam padding makes it super comfortable as well. Battery life is a very respectable 15 hours in wireless mode (and with ANC switched on) or up to 30 hours wired. Want a pair of wireless earphones that don’t even have a wire connecting the left and right earbuds? 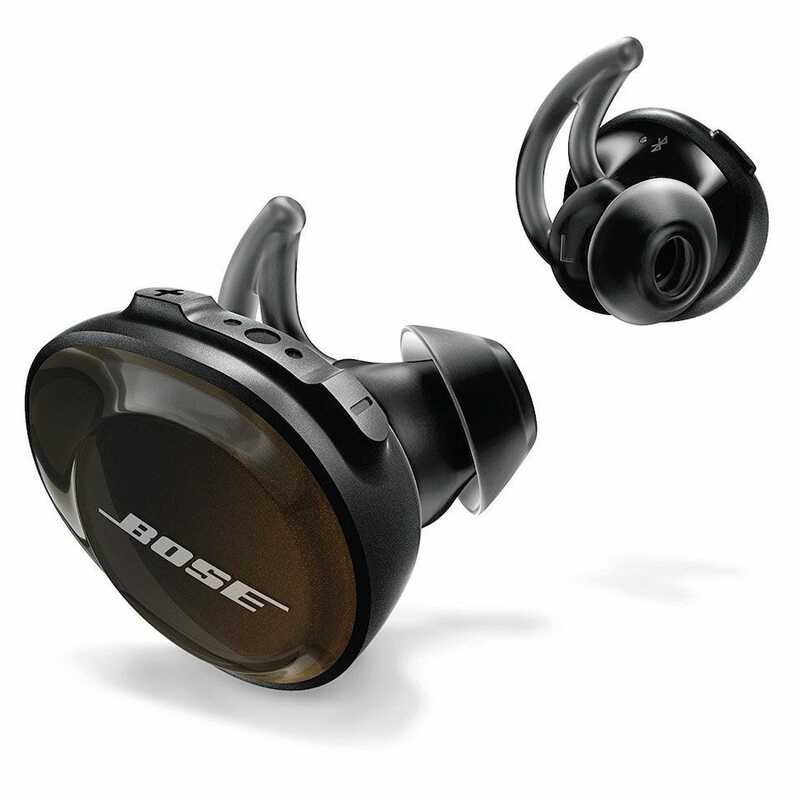 The Bose Soundsport Free can suit that need. Offering the kind of high audio quality you would expect from Bose, these earphones provide up to 5 hours of play time with an additional 10 hours coming from the charging case. They’re sweat resistant, and work with the ‘Find My Buds’ feature on the Bose Connect App, so they’re good for taking out and about, or for when running or working out. Crucially, they’re small and easy enough to store in even small pockets in your bag. Earbuds aren’t for everyone—especially the truly wireless variety—so if you prefer your ears to be covered then go with the AKG headphones for portability, however these are a great fit for earbuds. Maybe you’re already carrying a ton of stuff, or maybe you just prefer not having a big heavy hunk of plastic and metal on your head. In either case, the Plantronics BackBeat 500 are a good lightweight option here. They offer nearly-comparable sound quality to other entries on this list, without all the heft.. The headphones feature 40mm drivers. They’re comfortable too with a memory foam headband as well as ear cups. 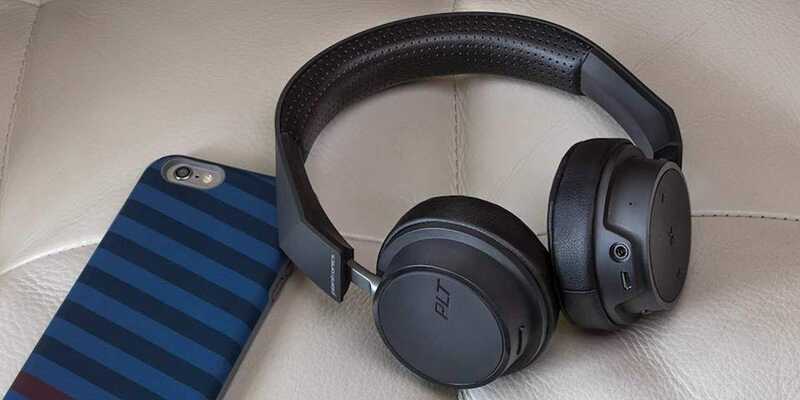 Passive noise cancellation takes the edge off surrounding noises but don’t expect it to be quite as good as headphones with active noise cancellation. Expect about 18 hours of wireless listening from its rechargeable battery. 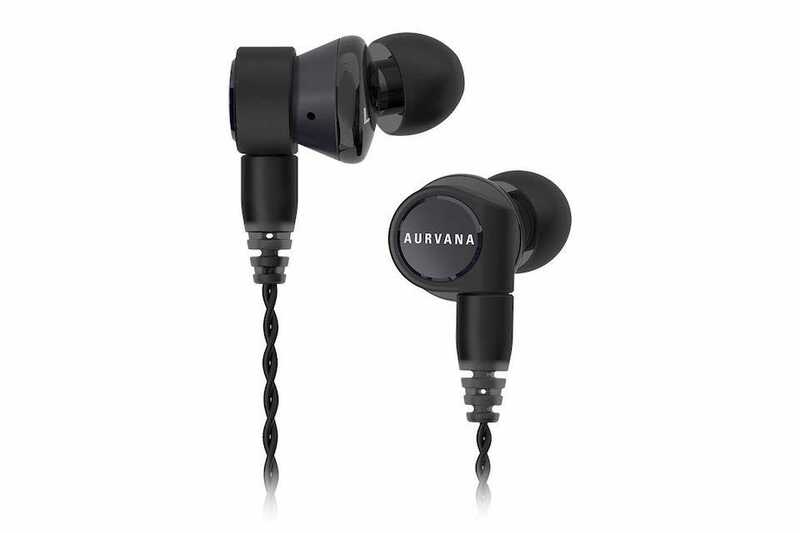 The Creative Aurvana Trio is a set of wired earphones which may sound archaic for the price, but sometimes the reliability of a wire is better when you’re constantly on the go. These earphones are durable enough that you can toss them in your bag without accidentally crushing them. The cable that keeps them tethered to your phone or laptop is braided and detachable if you ever want to replace it. In short, they can stand up to the beating of an active lifestyle. They’re also pretty good when it comes to sound quality. They use a hybrid triple-driver system which means dedicated drivers for highs, mids, and lows, which leads to better sound quality. There’s a promise of 98% noise isolation too which—from personal experience—sounds about right. They’re ideal if you want something a little more traditional. Check out our full review for more information on them.